Alright, scratch that last bit. In fact, scratch all of it. You only have to look in a pub on Christmas Eve to see us Brits are a festive bunch, but there’s no denying we get pretty irate when it comes to the Chrimbo travel experience. Who can blame us? The roads are gridlocked, the trains are packed, and chances are your flight’s been delayed nine hours while the ground crew defrost the plane. It’s enough to give anyone resting Grinch face – and in this day and age, it’s all too easy for passengers to take to Twitter and vent their fury in a very public forum. To make things worse, the world’s media is usually waiting to pounce on negative customer emotion with headlines like ‘Rail networks in CHRISTMAS CHAOS’ and ‘Planes GROUNDED in FESTIVE FIASCO!’; alongside the inevitable news slot with a customer venting about how they’ve missed little Ava’s star turn as the Virgin Mary because the 17:12 from Paddington got delayed. Yep, there’s no doubt about it. 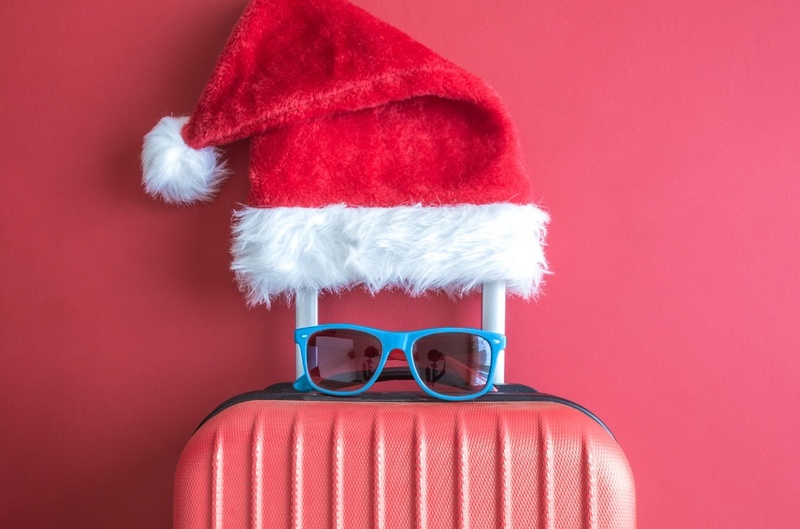 Travel operators (like those in the retail sector) have their work cut out protecting their reputations and providing a great customer experience at Christmas. But what can you actually do to stop passengers feeling pricklier than a wreath of festive holly? There’s a veritable feast of things that can wrong in the Christmas travel period. Overcrowding is a big one – nobody wants to spend a three-hour journey clutching ten bags, with their face mashed against a misted-over window. Inclement weather is another worst-case scenario, wreaking chaos across the networks and leaving travellers battling delays and cancellations. The real kicker is: none of these things can really be avoided, and they’re often not anyone’s fault. (In an ideal world, we’d move Christmas to a mild day in mid-June.) But while travel operators can’t do much about ‘the wrong type of snow’, there are customer experience blunders that can be prevented. Like terrible crowd control, poor customer service on-board, a lack of proactive communication when things go wrong, and slow response times. All of these things are completely manageable – and navigating them successfully can transform your customer experience. Plus, when things go wrong, brands actually have an opportunity to earn a new found respect from customers. By turning experiences on their head and taking action for their customers, brands will be met with Raves as opposed to a Rants. In the future, it might even make them look forward to travelling with you. Remember the power of people in these moments, a customer service agent or operator can make or break an experience, but, they can only stay on top of customer emotion if they have the autonomy to solve problems effectively. As it happens, travel operators have an unusual advantage when it comes to feedback gathering. During a journey, or while waiting at a station or airport, passengers have plenty of time to think about what they’d like to say. They’re a captive audience – and best of all, if you look around public transport, most people have their phones in their hands. Even if they’re usually a silent traveller, who isn’t inclined to leave any feedback at all, make sure you’ve got the technology in place to be able to capture and process customer feedback. Brands must ensure it’s effortless for passengers to share how they’re feeling. By using listening posts they can capture their feedback across Facebook, Snapchat, or via SMS. Don’t forget, it’s important to let passengers communicate in their own way, whether that’s an emoji, a picture or a six-stanza poem. Once you’ve got this feedback, it’s time to act. If you’ve got a train-full of angry passengers, it’s not realistic for contact centre agents to call back in response to each complaint. Instead, establish a dialogue through their channel of choice and get to the heart of the issue to show you’re listening, this point is key. Make sure customer service agents are able to feed this up the business and internal processes are setup to drive actionable change. When implemented correctly, managing conversations through a chatbot can help to provide real-time acknowledgment of a stressful situation. However, this has to be well thought out and well executed. Often, the last thing a frustrated customer needs is to be connected to a chatbot that simply issues standardised responses that make the situation worse. This is where your people really shine through, they’re the face of your brand and have the ability to show true empathy by listening to customers and showing they care. Instead, a chatbot might be used in response to less volatile feedback. For instance, to help make adjustments to the on board service, providing complimentary refreshments, or following up complaints with details of how you’re going to improve. Remember, there’s no point replying to an issue two weeks later – the damage has already been done, however, you can help to recover brand perception by taking a ‘you said, we did’ approach. This is where you actively close the loop with customers, showing that their feedback didn’t go unheard and you’ve now taken steps to make things better. Combined, these efforts can transform the CX of Christmas travel, and keep customer emotion as cheery and bright as Rudolph’s nose. More passengers, bad weather, Christmas party hangovers – festive travel is always going to be a hectic experience. But it doesn’t have to be one that ends with your brand’s name dragged through the mud (or snow). With enough focus on listening carefully and reacting thoughtfully to passengers, providing a great customer experience at Christmas is very much possible – it could even be the reason people look forward to travelling with you.